Senator Beck Basin Study Area (SBBSA) is located at 37°54’24.8″N x 107°43’34.6″W in the Ouray Ranger District of the Uncompahgre National Forest in the western San Juan Mountains of southwestern Colorado. 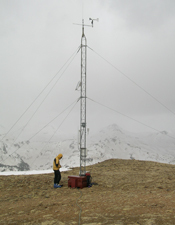 A Special Use Permit was granted to the Center for Snow and Avalanche Studies in October 2003. Under that permit, CSAS received permission to develop and use two study plots and develop a stream gauging station within the 719 acre (290 ha) Senator Beck Basin. More maps of the site are available on our maps page. 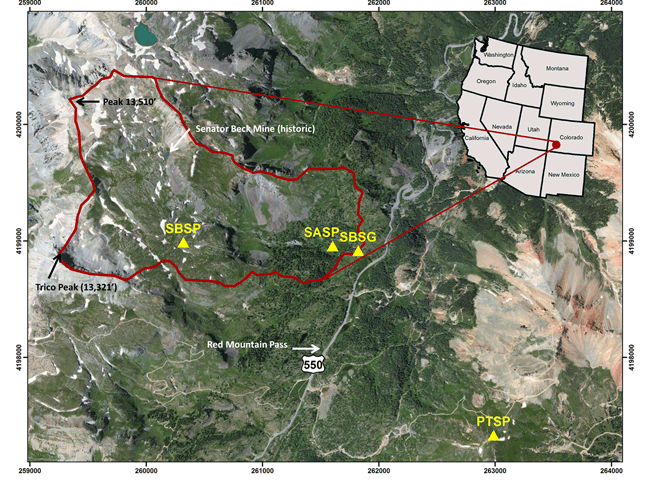 The Swamp Angel Study Plot (SASP) is located in a sheltered ‘hollow’ below treeline at 11,060′ (3,371m), near US Hwy 550 at Red Mountain Pass. 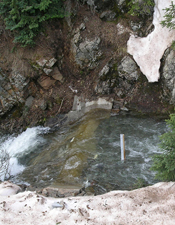 The Senator Beck Basin Stream Gauge (SBSG) station sits near SASP, in a narrow bedrock gorge at the hyrdrologic “pour-point” of the Basin. 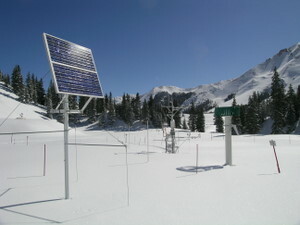 The Senator Beck Basin Study Plot (SBSP) is located above treeline, at 12,186′ (3,714m), near the center of the Basin. 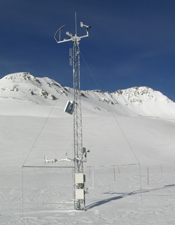 A fourth instrument array, the Putney Study Plot (PTSP), is located on private property on a ridgeline at 12,323′ (3,756m) 2km southeast of the Senator Beck Basin, courtesy of landowner, Tronox LLC. In order to facilitate interdisciplinary ‘snow system’ research, CSAS contracted with the Colorado Natural Heritage Program to perform a ‘Baseline Study’ of the plant communities in the SBBSA to be repeated every 5 years. The original study was conducted during the summer of 2004 and was repeated in 2009. Before visiting Senator Beck Basin, please first read our “Code of the Basin“.